Some cultures use celery seeds to treat a wide variety of health conditions. Celery seed can be taken in many ways, including capsules, tablets and in raw form. The seeds can be crushed to make celery seed tea. While relatively little research has been done on humans using celery seed, preliminary studies performed on animals have demonstrated many promising health benefits. As with most herbs, individuals should consult a health care provider before taking celery seed in any form. According to the University Of Maryland Medical Center, a few studies with animals demonstrate that celery seed extract may lower blood pressure. Celery seed is most widely used as a diuretic, which may explain its positive effect on blood pressure. Physicians typically prescribe diuretics to help lower blood pressure, but these medications can upset the balance between sodium and potassium in the blood, which can have negative consequences. However, the diuretic properties of celery seed extract don't upset the ratio of potassium to sodium in the blood. In addition to lowering blood pressure, celery seed extract also improves blood flow to the brain. Celery seeds are considered to be a rich source of the mineral calcium. Calcium is necessary for maintaining healthy bones and teeth. It is particularly important for children to receive sufficient calcium, as their bones are developing rapidly. Calcium is also required for proper muscle contractions. Inadequate intake of calcium in earlier years can lead to osteoporosis in later life. Celery seed extract may be effective at reducing the pain associated with osteoarthritis and gout. 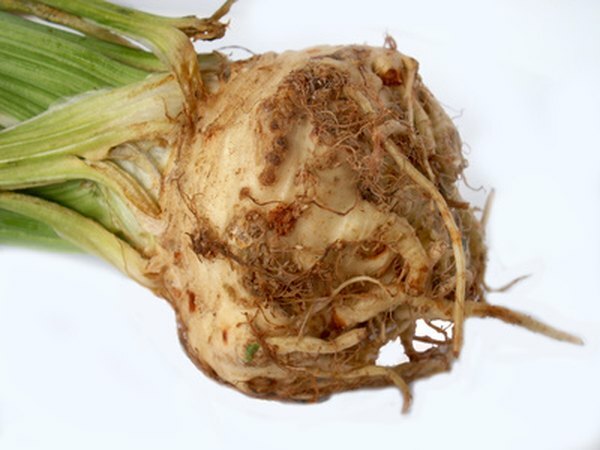 In a 12-week study, 15 participants ingested celery seed extract twice daily. The participants had been inflicted with either osteoarthritis or gout for at least 10 years. All of them had restricted mobility that prevented many normal activities. After three weeks, the average participant reported a 68-percent reduction in pain based on a pain threshold scale. After six weeks, some participants reported almost complete pain relief. No side effects were reported by any of the subjects. Celery seed extract has produced similar pain-relief benefits on patients with fibromayalgia as well. The pain-relieving properties of celery seed extract are due to the presence of 3-n-butylphthalide, or 3nB. 3nB is the compound found in celery that gives it a unique smell and taste.